Many things happened in the NHL over the past 10 days. Some have been good, some have been bad and some have been questionable. With this roundup we talk trades, hot streaks and playoff hopes and dreams. With lots to say, let’s get started. Washington Capitals – No further proof was needed that the Capitals are all-in for a cup run this season than them picking up Kevin Shattenkirk from the St. Louis Blues. Shattenkirk was a top tier defensemen with the Blues, with 43 points so far this season. His pickup shows that the Capitals are pushing hard to close any gaps in their team before the playoffs. TSN – It was wildly joked in Canada that the biggest winner of trade deadline day was the national sports broadcaster TSN. Two of Canada’s best known sportscaster, Jay Onrait and Dan O’Toole announced they had re-signed with the network after a stint in the USA on the (failed) Fox Sports Live. The duo are known for their offbeat rumour and fun onscreen antics, so it’ll be great to see them back on local television. 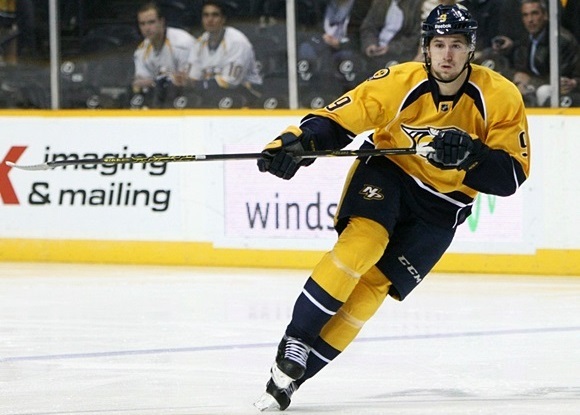 Filip Forsberg, Nashville Predators – Forsberg had a month to remember. He’s scored two back-to-back hat tricks and had four three point games, all in the span of five games. He was recently named NHL second star of the month for February after finishing the month with 17 points. Forsberg has been unstoppable lately, and if he’s on your fantasy team (as he is mine) you should be very, very happy that you didn’t consider dropping him a few months ago, when his stats were not so great (as I did). Trade Deadline Day Followers – Trade deadline day this year was a bit of a dud. A few trades happened prior to March 1, a few trades happened on March 1, but it wasn’t the blockbuster day it’s often made out to be. With the exception of the few trades mentioned here, nothing too crazy happened. It had been hyped that Matt Duchene was going to be involved in a large trade out of Colorado, but that didn’t happen. There were rumours that Coyotes Captain Shane Doan was being shipped, and that didn’t happen. There were also rumours that (heart be still) Zdeno Chara might possibly be moved out of Boston, but thankfully, that didn’t happen either. All in all it was a dud of a day. Let’s see if free agency day (July 1st) provides anything more interesting. Toronto Maple Leafs – After a solid January, the Leafs slipped a little in February. They have lost their last five games straight and are currently one point out of a wild card position in the east. The only good news for the Leafs it that the teams they are fighting with for position – the Panthers and Tampa, have not been particularly good lately either. A few wins in a row should boost them back into position, but they really, really need those wins sooner than later. Dallas Stars – I’ve said it before, and I’ll say it again, on paper, the Stars are a great team. They’ve got one of the best teams in the league with Jamie Benn and Tyler Seguin. They’ve got some very capable goaltenders in Lehtonen and Niemi. Toss in Klingberg, Spezza, Sharpe, etc and it doesn’t really make sense why the team is doing so poorly. They should be in playoff position, but are far off the pace. I’d expect big changes in the offseason in Dallas, if their struggles continue. Los Angeles Kings – The Kings raised a few eyebrows with their pickup of Ben Bishop from Tampa, just before the trade deadline. Bishop going from number one goalie in Tampa to a backup for Jonathan Quick seemed a very odd choice for all involved. However, it made it seem that like Washington, the Kings are very serious about the playoffs. They also picked up veteran defensemen Jarome Iginla on deadline day as well, adding some extra depth to the team. This sounds great, but on Saturday night, with Bishop in net, the Kings lost 4-3 with Bishop allowing 4 goals on 21 shots. One can only imagine how unhappy Darryl Sutter was with that result. It’ll be interesting to watch what happens with the team, as April approaches.